The Az-Adin Al-Qassam Brigades' website published an article on August 15, 2006, which incorporates conclusions and insights of Hizbullah's fighting against the I.D.F. in south Lebanon. The article included observations and analyses made by Amid (Col. ret.) Youssef Al-Sharqawi, a senior retired Lebanese army officer, whose analyses were broadcast on Al Jazeera during the fighting period. It is interesting to note, that Hamas perceives the fighting in Lebanon as a kind of laboratory, where they were able to closely study the I.D.F. 's operations, and how the Hizbullah was able to create a relative advantage in a number of fields, by using guerilla tactics. Hamas, as an emerging learning organization will, in all probability, adopt a number of the operative insights, which it believes will afford it a relative advantage when dealing with Israel. 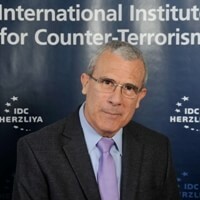 Particularly the advantage of being able to present successes, as was done by the Hizbullah, in an attempt to shape awareness and apply operative and tactical moves, which they think will give Hamas an advantage in dealing with the I.D.F. The nature of the campaign conducted by Hizbullah against the army of occupation in the south of Lebanon, proves that guerilla war fighting with meager capabilities, which is compatible with the Palestinian resistance, against a large organized army, enables it to win and the ability to overcome is hidden inside Hizbullah. Hizbullah’s uniqueness compared to other military organizations using guerilla tactics is that they are the first resistance movement with traditional army capabilities, within the framework of guerilla war, and it is the first armed unorganized splinter movement which has strategic weapons. The most important thing which characterizes the Lebanese Islamic resistance in the war in southern Lebanon, is the total secrecy with which they surround themselves. Their tactics were discerned by newspaper reporters covering the war, when they stated: we did not see even one Hizbullah fighter and in this respect, Timor Joksel, a lecturer at the American University in Beirut said, after serving for a lengthy period as the spokesman of the international emergency force in Lebanon and its advisor: "their modus operandi is based on them not exposing themselves". He clarified that: "they do not need a leadership structure or general headquarters, they all know their missions and they operate in small cells and are able to hide quickly. One cannot see even one armed man in the streets or the parks". It would seem that the total secrecy and the lack of the fighters' visual presence, is the most important lesson to be learned by the Palestinian resistance. There was more interest in secrecy and hiding before the re-deployment of the occupation after the Oslo Agreement, but the fighters' recent feelings of respite, despite the blows which they experienced, made them abandon large defensive capabilities, which they drastically now need, more than ever before, as the occupation army's most vital goal and that of its intelligence, is to hound the resistance fighters. The military expert Amid (ret.) Yousef Al-Sharqawi believes that the Palestinian resistance must follow the daily successes of the Lebanese resistance and we are no different to them, in spite of the distinctiveness of every location. The first issue, which should be addressed, according to Sharqawi, is the secret resistance, as he says: "Hizbullah's secrecy is strategic, as it safeguards its movement from infiltration, and this is imperative for every secret organization. We must, therefore, protect ourselves as fighters from infiltration". Upon entering the advanced stage of the confrontation, according to military experts, the leaders of the Zionist occupation army show their confusion, in an attempt to answer some of the questions regarding Hizbullah's tactics. The first of these questions is: How do the Hizbullah fighters move? Where do they come from? How do they hit? How are they able to move so speedily during the confrontation and surround the attacking forces, thwarting the attacks of the planes and mortars, so that the campaign in the field will become one of guns and personal ability? The second question, according to these experts, is how the advancing units fight using a forward breakthrough, who suddenly find themselves becoming a target from two divergent directions? The current fighting shows that Hizbullah used the past six years, since the Zionist withdrawal from Southern Lebanon, to build underground hiding places, stockpile ammunition and develop combat methods. Despite the occupation army's massive assault against South Lebanon from the air, tanks and mortars, and the Hizbullah fighters' casualties, which are presumably high, it would seem that their defense in the underground tunnels is what enabled them to stand fast against the Zionist shelling. Despite the fact that the Palestinian resistance has perpetrated many attacks using tunnels, it could expand the use of this method as a safe shelter for the storage of arms and for defense purposes during offensive attacks, in addition to being able to serve as safe areas to protect the leaders of the resistance being persecuted by the occupation army. Amid Al-Sharqawi stated that one of the most important aspects of the war now being waged in the South, is the underground resistance and therefore our resistance must benefit from this experience and go underground. The tunnel activity exists and gives the fighters an opportunity to surprise the enemy. The Hizbullah fighters renewed the practice of guerilla warfare "when an army advances, don't stand against it", "hit and run". They allowed the occupation army to advance to areas and villages in the south and did not resist it face to face, but rather they attacked with ambushes causing a large number of casualties to the occupation army. Al-Sharqawi then spoke about the Palestinian resistance's weapons and the best way of utilizing them: the weapons must be stashed in a suitable place to facilitate allotting them to the targets earmarked for attack, and hit sensitive centers which will affect the enemy and when a rocket is aimed at a target, we must ensure that benefits are gained in attacking this target. Al-Sharqawi stated that Hizbullah has developed guerilla warfare theories. The geography does not help at all and the most important aspect is to inflict losses of life on the enemy. Al-Sharqawi believes that the fighters in the Gaza Strip should turn to incursions. They are afraid of intensifying the presence of the occupying army in the cities and the refugee camps and their weapons should be organized in such a way, so as to exact a price on the enemy for its actions. He stressed that they should not stand up to the occupation army and its weapons but should surprise it from an unexpected direction. The spokesman for the Al-Kassam Az-Alladin Martyr Brigades, Abu-Ubayda, stated that what is said about him today in Lebanon regarding the hero's resistance to the Zionist enemy, is the best proof of the Zionist enemy's inability and its weakness when trying to resist the Islamic Arab nation. This is the enemy which today has been exposed to the heroic Lebanese attacks, just as it was exposed to the qualitative Palestinian resistance attacks. Everyone is discussing how the Palestinian resistance succeeded in overpowering the Zionist enemy in the Gaza Strip, by emerging from underground tunnels, and showered them with rockets from the skies and attacked the military security fortresses and strongholds, and this scenario is being repeated today in South Lebanon, with the boastful enemy falling once again under the resistance's fire. If the physical, topographical and other conditions in Southern Lebanon would have enabled the infliction of larger casualties on the Zionist enemy, this would not have drawn attention from the unique fact that the Palestinian resistance has succeeded in paving its way living under far more difficult conditions in the history of the resistance movements - due to the blockade, the pursuit, the shortages and collective punishment - and perpetrated attacks which we can say are the bravest and most precise, taking into account all the conditions mentioned.